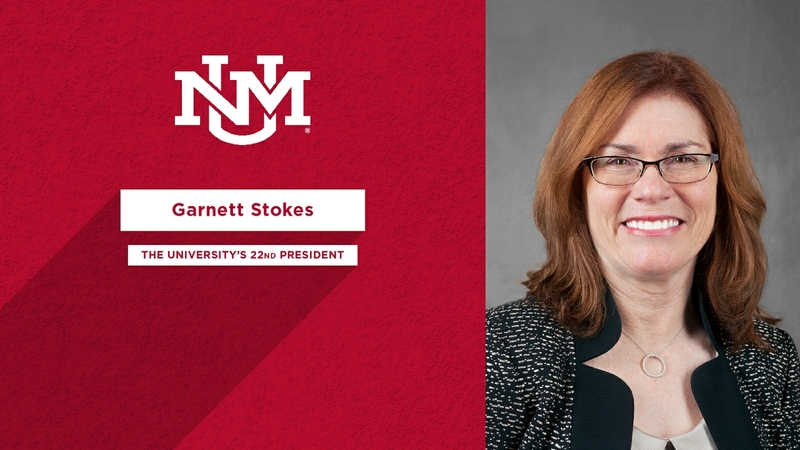 The University of New Mexico Board of Regents has unanimously selected Garnett S. Stokes as its 22nd president. Stokes, 61, will succeed Interim President Chaouki Abdallah, who has served in the role since the beginning of 2017. Stokes will take office March 1, 2018. Stokes’ selection follows a 10-month search by a 22-member committee, chaired by UNM Board of Regents’ President Rob Doughty, that included regents, faculty, students, staff and alumni. Isaacson, Miller, a national executive search firm, was engaged in November 2016 to work alongside the committee. 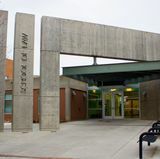 Stokes was selected by the UNM Board of Regents after three weeks of public engagements between the finalists and members of the university community, as well as meetings with UNM administrators and the Board. The Board compiled feedback from hundreds of campus community members through online surveys and listening sessions conducted over the past several weeks. The Board then met with representatives of a number of campus constituencies before their deliberation and vote on Oct 30. She has accepted a five-year contract with a salary of $400,000. The university's faculty expressed its strong backing for choosing Stokes as president. A memo to the Regents from The Committee on Governance and the Faculty Senate Operations Committee outlined the results of a faculty survey that garnered 632 responses, or 32 percent of those eligible to participate. The survey results indicate that Dr. Stokes achieved the greatest level of faculty support among faculty who participated in the survey. Stokes has been provost and executive vice chancellor for academic affairs at the University of Missouri (Mizzou) since February 2015, and was the Interim Chancellor from May – August 2017. The University of Missouri is a public, land-grant research university located in Columbia, Missouri, and is the largest university in the state. It is the flagship campus of the University of Missouri System, offering over 300 degree programs to more than 30,000 students. Prior to that, she served as interim president, as well as provost and executive vice president for academic affairs, at Florida State University (FSU), a public research university in Tallahassee. As a leader in higher education for several years, Stokes has advocated for an aggressive agenda for transforming the student experience and strengthening the ranks of the faculty and the environment that supports them. During her tenure at the University of Missouri, she has been praised for building an outstanding and diverse leadership team dedicated to student success. Under her direction, the university established the Office of Civil Rights and Title IX. As interim president at Florida State, Stokes created a task force to address sexual and domestic violence and spearheaded the university's "kNOw MORE" campaign. She led FSU's Diversity and Inclusion Council committee on Recruitment and Retention while she was Provost. A first-generation college graduate, Stokes earned a B.A. 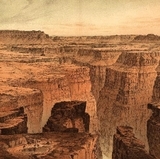 in psychology from Carson-Newman College in Jefferson City, Tennessee, and M.S. and Ph.D. degrees from the University of Georgia in industrial/organizational psychology. She becomes the first female president in UNM’s 128 year history. Her husband, Dr. Jeff Younggren, is a forensic psychologist and a retired Colonel in the U.S. Army. They have two grown children, Brad and Beth Ann, and four grandchildren. 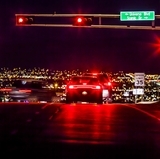 At UNM, Stokes said her job will be “to strengthen UNM’s role in serving as the flagship university in the state.” She emphasized that her priorities would center first on getting to know the people at UNM, in the Albuquerque community, in the state, and in supporting the University’s current strategic plan. “Jeff and I are thrilled at the opportunity.” They will reside on campus at University House.